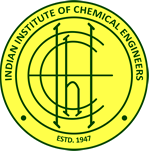 National Conference on Advances in Process Engineering (CAPE) is the annual event of the SASTRA DEEMED University student chapter of the Indian Institute of Chemical Engineers (IIChE). The objective of this conference is to provide an interdisciplinary forum for researchers and engineers to share and discuss their ideas on the emerging issues in process engineering. The conference focuses on all aspects of process engineering such as process development, manufacturing, and product development. The conference aims to promulgate the knowledge of the most recent advances in understanding the fundamentals and in translating the earned knowledge to specific engineering applications. The conference provides an amicable platform for fruitful interaction amongst young students, research scholars, practising engineers, academicians and industry delegates through oral and poster presentations. Guest lecturers from eminent scholars of repute, drawn from academia and industry, will serve as an impetus to steer and drive the conglomeration towards knowledge sharing. We invite graduating young chemical engineers, post graduate students and young research scholars to attend the conference and take active part in the conference deliberations to keep them abreast with the latest in chemical process engineering.